A special forces soldier who was assumed K.I.A. reappears with no memory of where he has been since entering a mysterious zone of extraterrestrial origins from which nobody had previously returned. Alex Garland�s follow up to his acclaimed debut Ex Machina has a similar formula of low key, old school cerebral science fiction that is refreshingly different to the incessant fast cuts and pyrotechnics of the modern blockbuster. 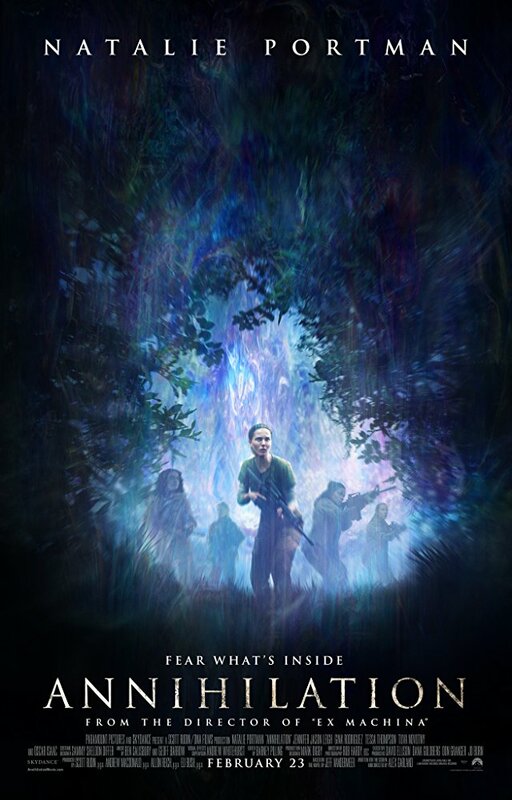 Slightly reminiscent of Gareth Edwards� debut Monsters because of the forest setting, road movie format and beautifully artful visuals, the story is of the �explorers investigate unexplained anomaly� variety that will be familiar to fans of Star Trek. There is also something of a horror twist concerning a theme of the corruption of the flesh � a favourite of Japanese Anime � as well as the detective story element as the group of scientists investigate the fate of the previous teams with the use of found footage. Another nice break from tradition is the fact that the protagonists are all female, which is never used as some kind of clumsy feminist trope; the characters are all well written, rounded and just happen to be women. Those who found the climax to 2001: A Space Odyssey too obtuse for their tastes may be similarly baffled by Annihilation, but to those who like sci-fi of a more intellectual bent, it is always thoughtful, intriguing and beautiful to look at.